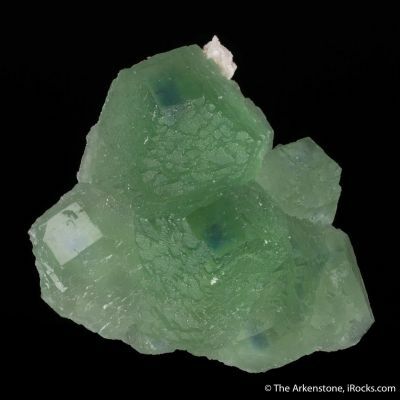 The Tule Mine was once well-known for these excellent Fluorite/Celestine combinations from the early 1980s. 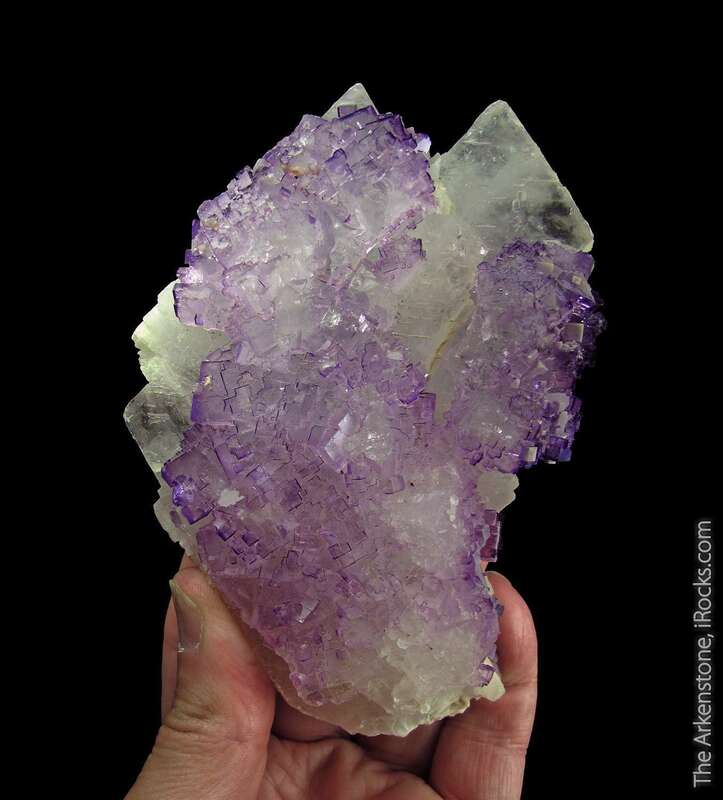 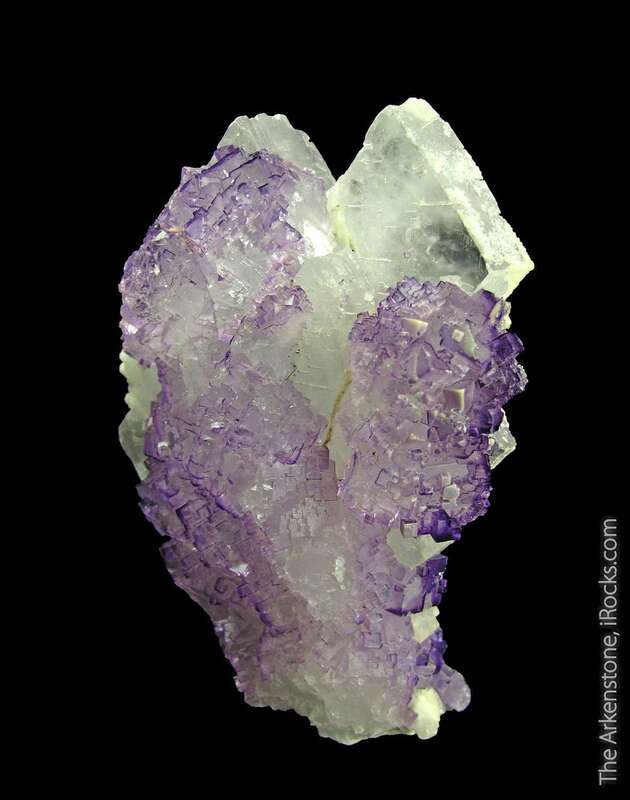 Here, the gemmy purple Fluorites generously cover one side of this pair of broad, Celestine spears. 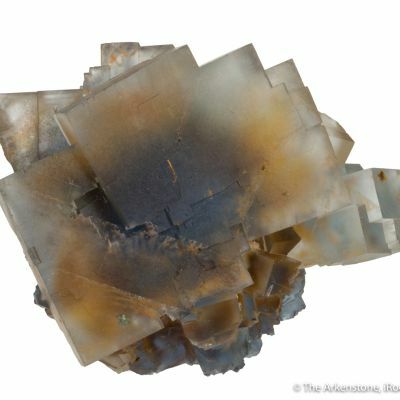 The tabular Celestines are well-formed with their 'ratcheted' edges, and are translucent to partially gemmy. 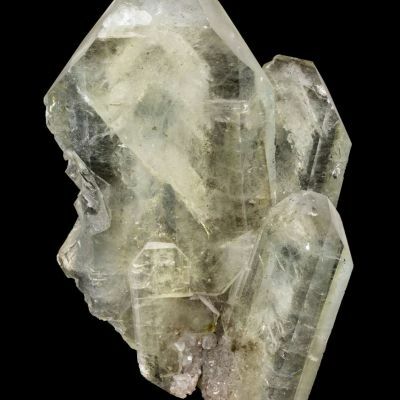 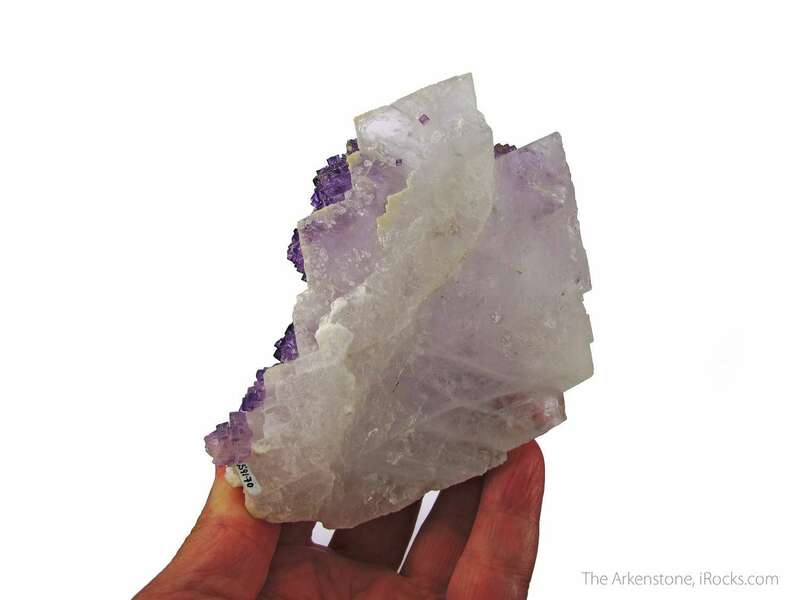 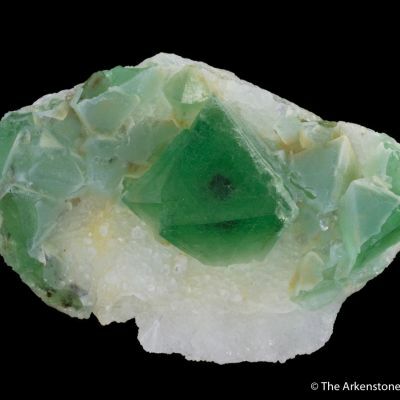 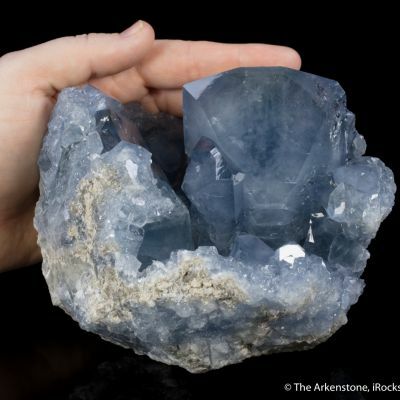 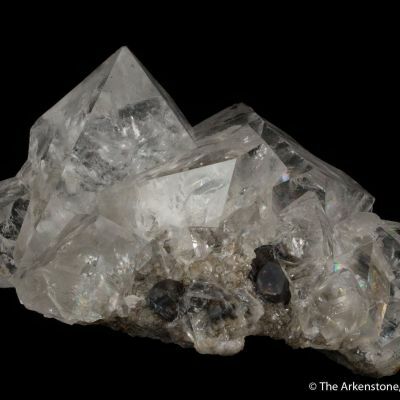 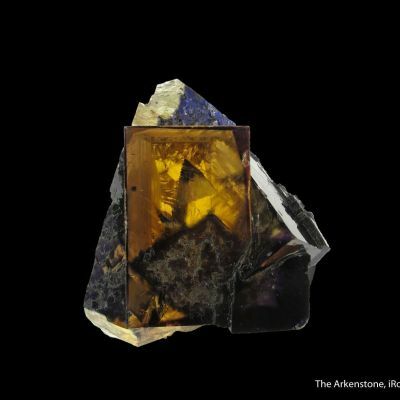 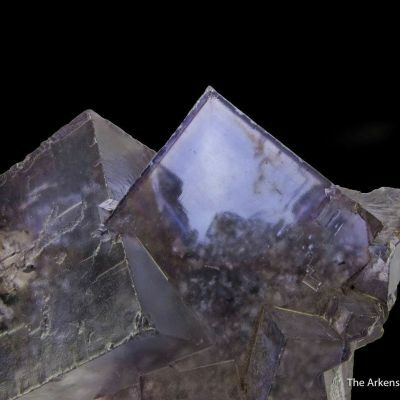 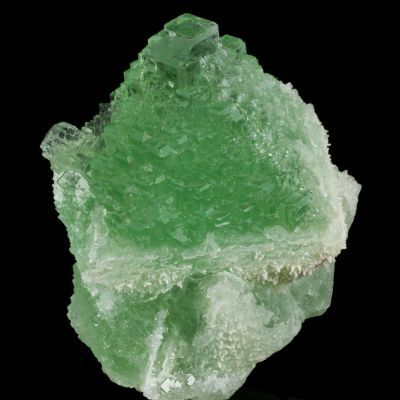 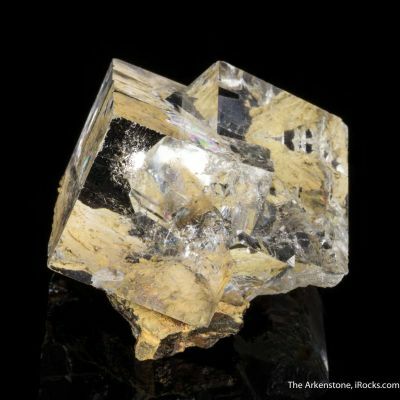 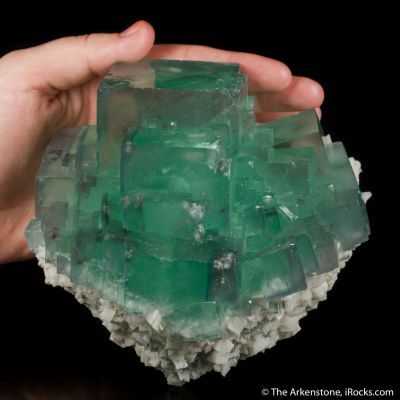 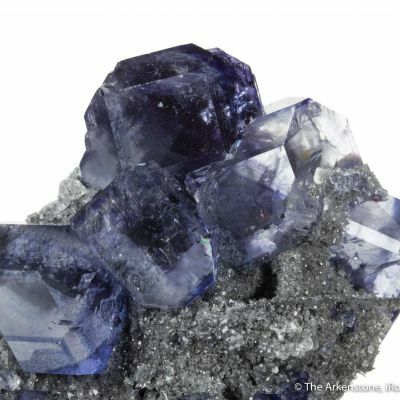 The largest of the individual Fluorite crystals is 1.2 cm on edge. 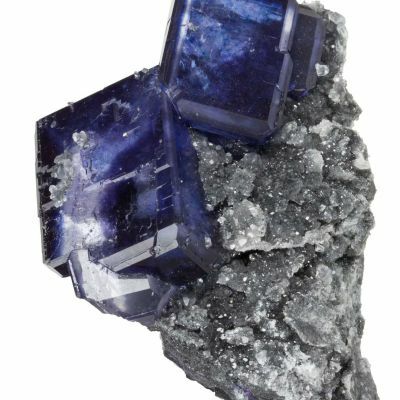 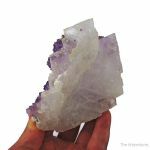 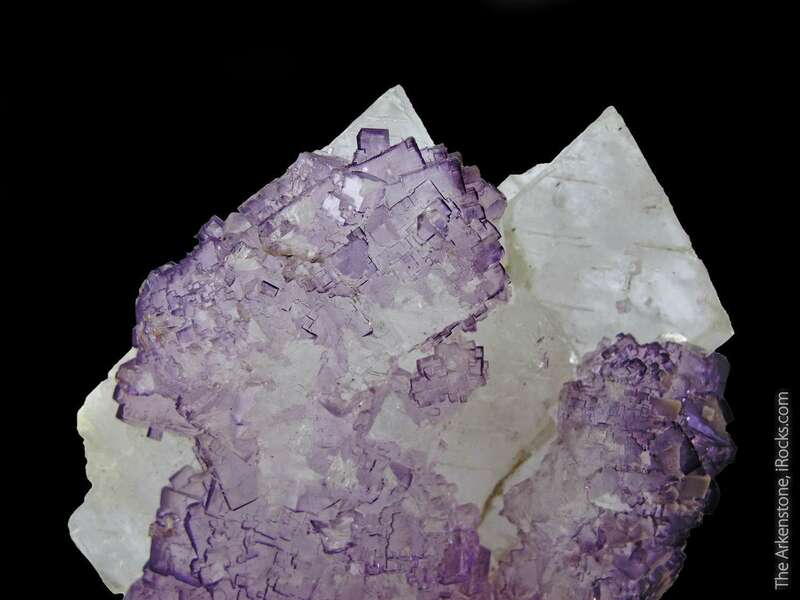 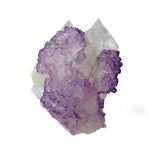 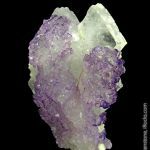 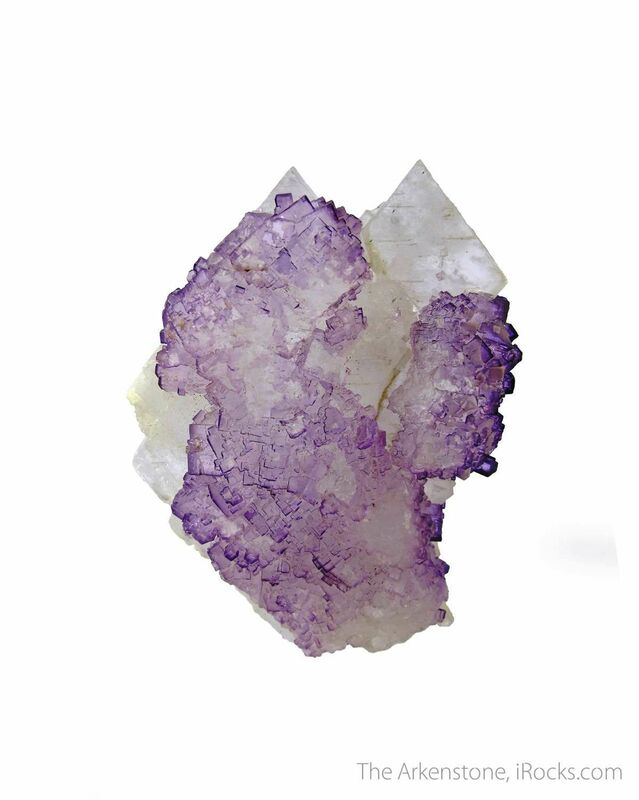 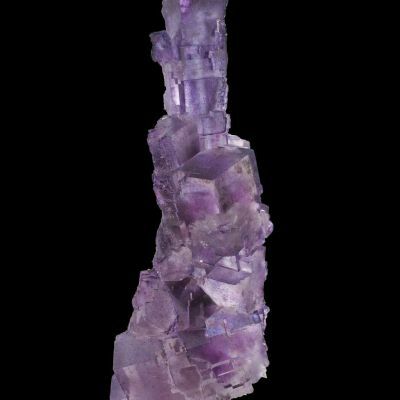 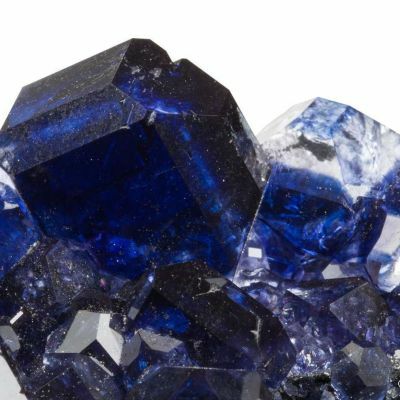 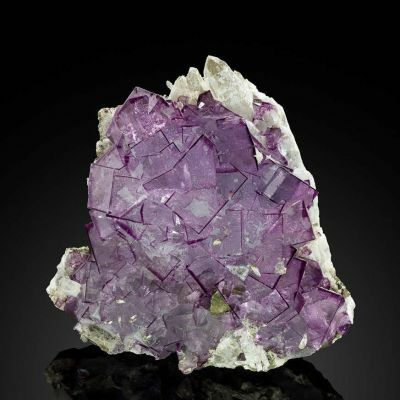 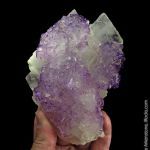 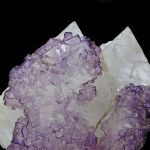 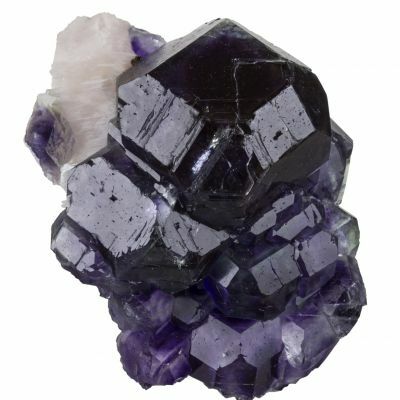 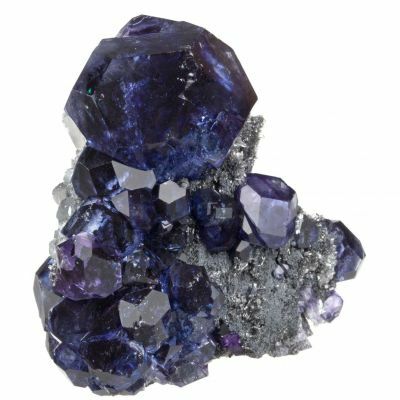 One of the most aesthetic aspects of these Fluorites, in addition to the lovely color and the gemminess, is the sharp and distinct deep purple edges, which make them stand out in a dramatic fashion. 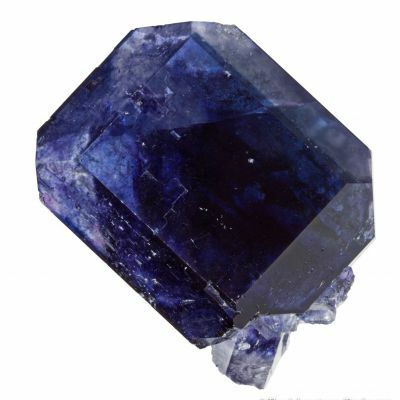 The overall aesthetics are very good, and the size is larger than usually found. 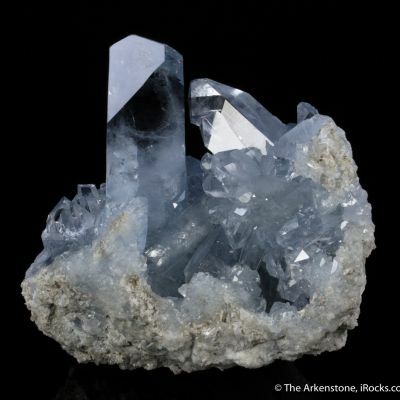 A very good Muzquiz piece, from this old classic style!